I love aerial photos! You will also love the these shots of Kishon Park and the Haifa-Kishon Marina. They did a good job of rehabilitation of the polluted river. 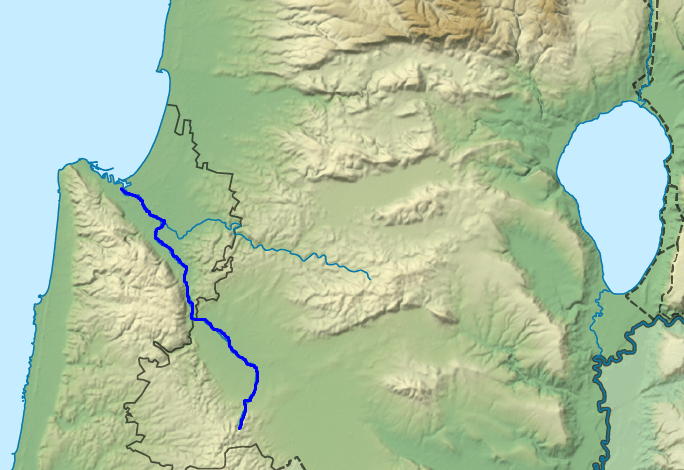 The Kishon River is a 70 km long perennial stream. Its farthermost sources are Mount Gilboa (the South Eastern basin) and the North Eastern basin just south of Nazareth. It flows through the Jezreel Valley, by way of Baruch Lake, Tel Kasis, Harosheth of the Gentiles, Sepphoris Creek, and Gedora Creek. The Kishon empties into Haifa Bay and the Mediterranean Sea at the foot of Carmel. The drainage basin is the country’s second largest of all the coastal rivers – about 1,110 km. Another Arabic name for this river is Nahr el-Mokatta – نهر المقطع‎ which means River of Slaughter referring to Sisera’s defeat and the prophets of Baal killed by the prophet Elijah. The Kishon appears clearly in Peutinger Map (Tabula Peutingeriana). Roman author Pliny the Elder visited Haifa Bay area in 70 CE and speculated that Phoenician glass was invented here in the Haifa Bay, near Acre. Josephus Flavius wrote (2 Wars 10: 2) about the glass manufacturing in the bay of Haifa. 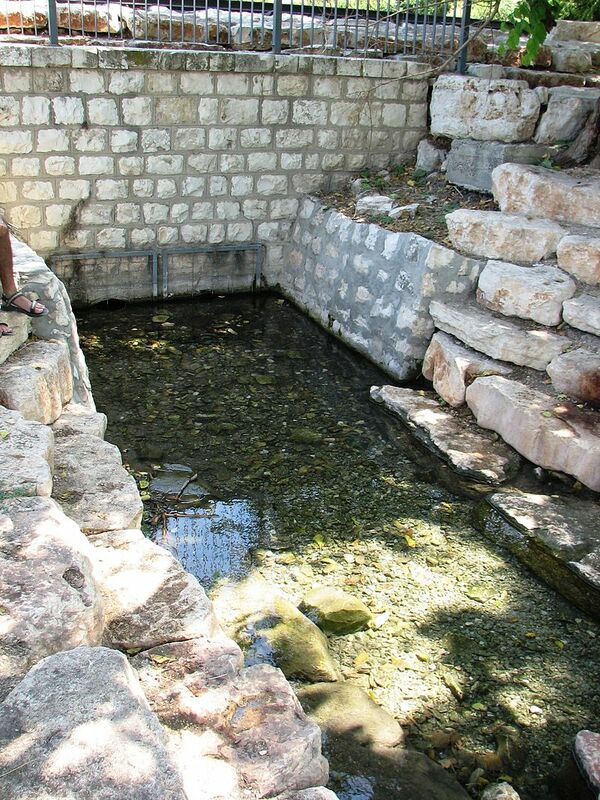 The Kishon was for many years one of the most polluted rivers in Israel due to nearby chemical plants. I, myself, worked twenty years in the Refinery. Most of the river was clean, however the last seven kilometers downstream were extremely polluted. This destroyed the natural ecosystem and turned it into a channel for wastewater. A major clean up project began in 2012 and was due to be concluded in 2015. Members of one of the IDF’s special operations units who had intensive training in the polluted Kishon had high occurrence of cancer. My unit in the Engineering Corps only trained in the Kishon once. 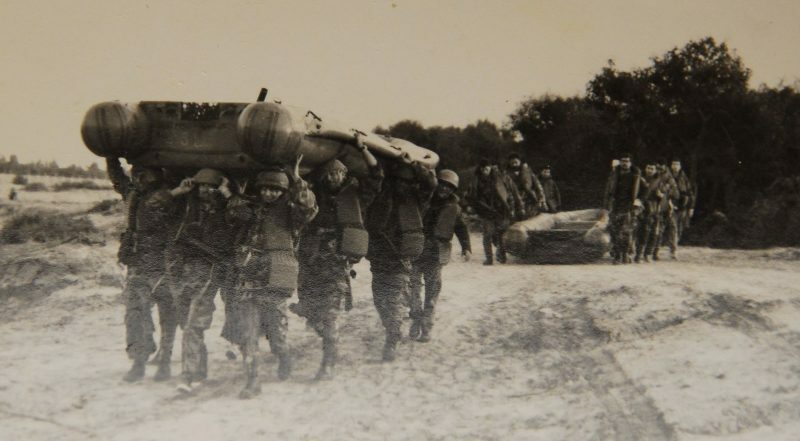 We had to jump out of those inflatable boats, as in the photo below, into the oily water. In Hebrew they are called “rubber boats“. At least we didn’t have to re-oil our rifles after the exercises. The beautiful Kishon Park is adjacent to the Haifa Marina and both are to the east of the main Haifa port. 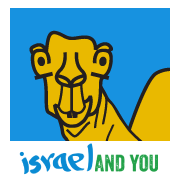 This park extends along the last half-kilometer of the Kishon River and its green grass covers 33000 square meters. The park is family friendly, accessible, free entrance, free parking. You can easily find picnic areas. Locomotive Park (or Railway Park) – פארק המסילה או פארק הקטר: The park is on Weizman Street, Kiryat Tivon. It offers picnic tables and a children friendly playground. Elroi Train Station – תחנת הרכבת אלרואי: The Park is on Barak Ben Avinoam Street, Elroi. This was a railway station on the old Jezreel Valley Railway (Valley Train). The park offers picnic sites and is children friendly. Elroi Spring – מעיין אלרואי: Elroi is a neighborhood in Kiryat Tivon. The park is near the Elroi Train Station Park. 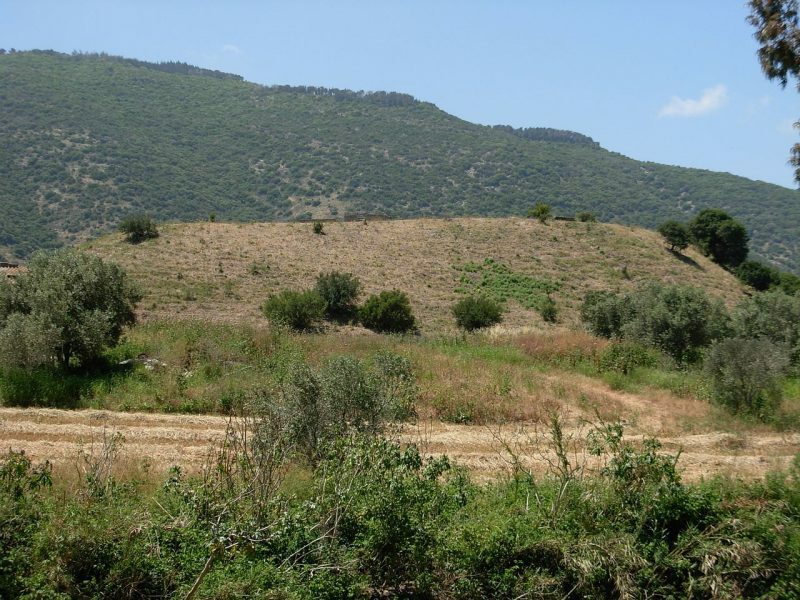 Tel Muammar – תל מעמר: This is an archaeological site along side the Kishon and next to HaAmakim Junction – צומת העמקים – ג’למה. 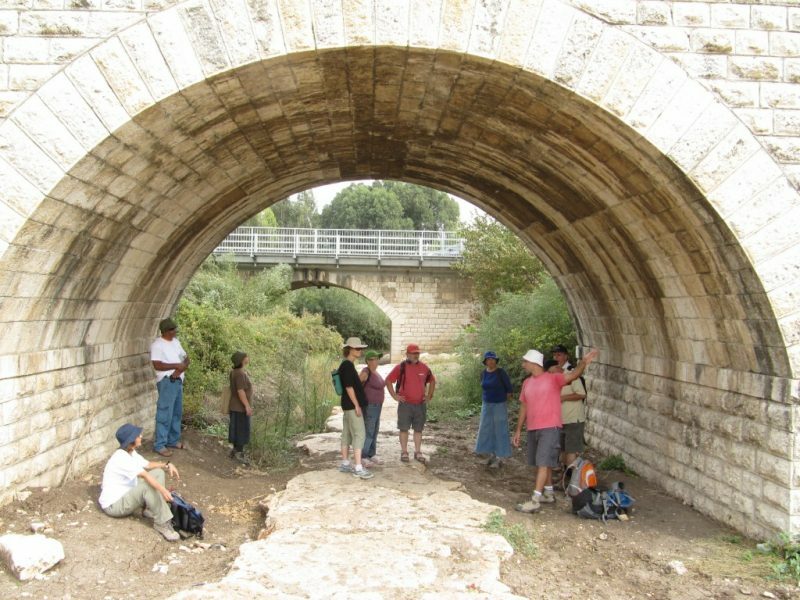 Arched Bridge – גשר קשתות: Turkish bridge planned by German engineer, Heinrich August Meissner in 1905. The Kishon Marina and Fisherman Anchorage is located east of the main port of Haifa. There are two breakwaters. The main channel is 1045 m long. 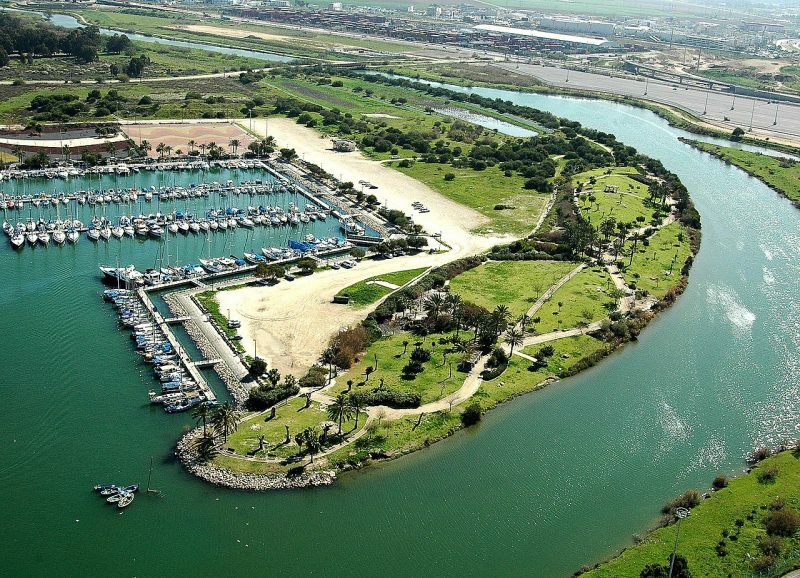 There is enough space for up to 250 private yachts and 120 fishing boats in the marina.